I am proud to say that a little family ritual that I put into place almost a year ago is still going strong. We started our Family Journal last spring and though we don’t write in it every day, it has become a wonderful keepsake of the past year. The journal writing happens at dinner time and for now the writing is shared by my husband and I. My hope is that as our children grow and their writing abilities blossom that they too will share in the journal keeping. The entire family helps the “writer” come up with ideas for the entries. My son recently suggested that we spend this year not only writing in our journal but revisiting the entry from the year before as well. I LOVE the idea and think it will be a fun way to reflect upon how much we have all grown. This past weekend I purchased another blank journal since our current journal is almost full. I hope that this little ritual continues for many years. 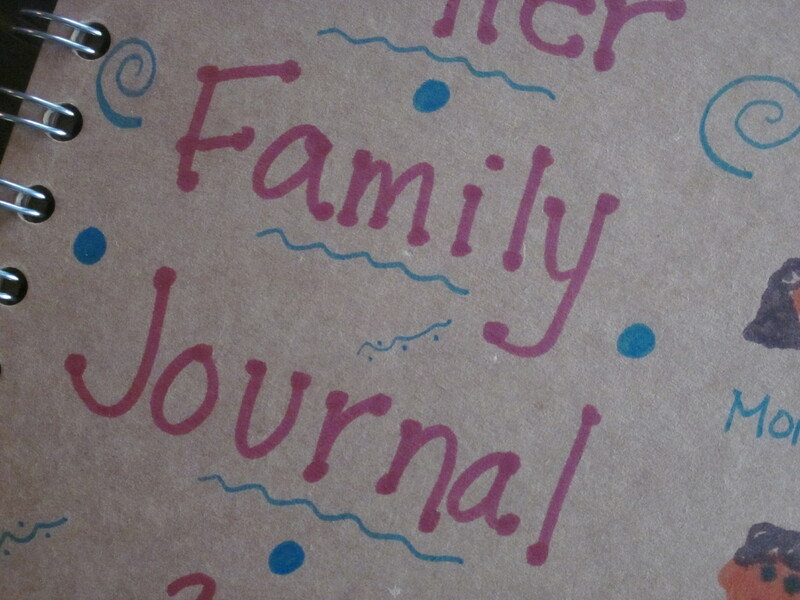 It will be fun to give the kids the journals when they are grown so that they can relive all of the wonderful memories of childhood through their own young eyes.